June 4, 2018 / Filed under Blog, Cultural Corridor. 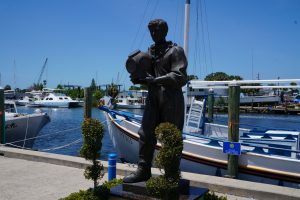 A statue of a diver at the Historic Sponge Docks in Tarpon Springs. If you don’t already, we think you will soon. Forward Pinellas and Creative Pinellas, the county’s designated arts agency, are working together to create a Cultural Corridor linking destinations along Alternate U.S. 19 from Largo to Tarpon Springs. A Cultural Corridor is a geographic area that features and connects multiple arts and cultural attractions, creating a magnet for entertainment, tourism, and urban revitalization. This project will enhance the cultural aspects that make this corridor great already, not transform or overhaul the character of the area. 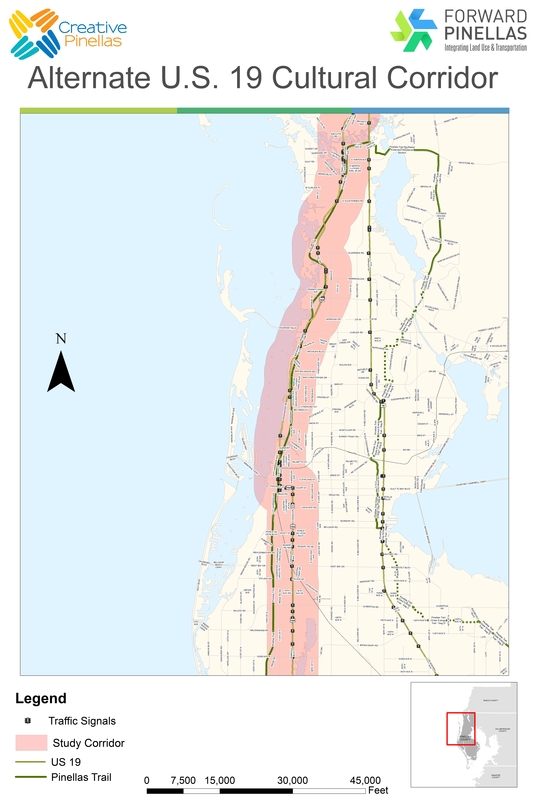 To understand what the existing strengths of the corridor are, and where it can be improved, we need your help, whether you’re a planner, an artist, or a member of one of the North Pinellas communities that the Cultural Corridor will connect. Whichever of Alternate U.S. 19’s many names you know it by – Seminole Boulevard, Missouri Avenue, Myrtle Avenue, North Fort Harrison Avenue, Edgewater Drive, Broadway, Bayshore Boulevard, Palm Harbor Boulevard, or Pinellas Avenue – we hope you will help us create the vision that defines this entire corridor as an arts destination for Pinellas County, the state of Florida, and beyond. 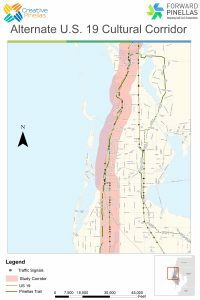 You can learn more about the project on the Alternate U.S. 19 Cultural Corridor page. Join us at one of our meetings to start the conversation: tonight at the Tarpon Springs Heritage Museum, June 25 at SPC Clearwater, July 16 at the Dunedin Fine Arts Center, and July 31 at the Largo Performing Arts Center.